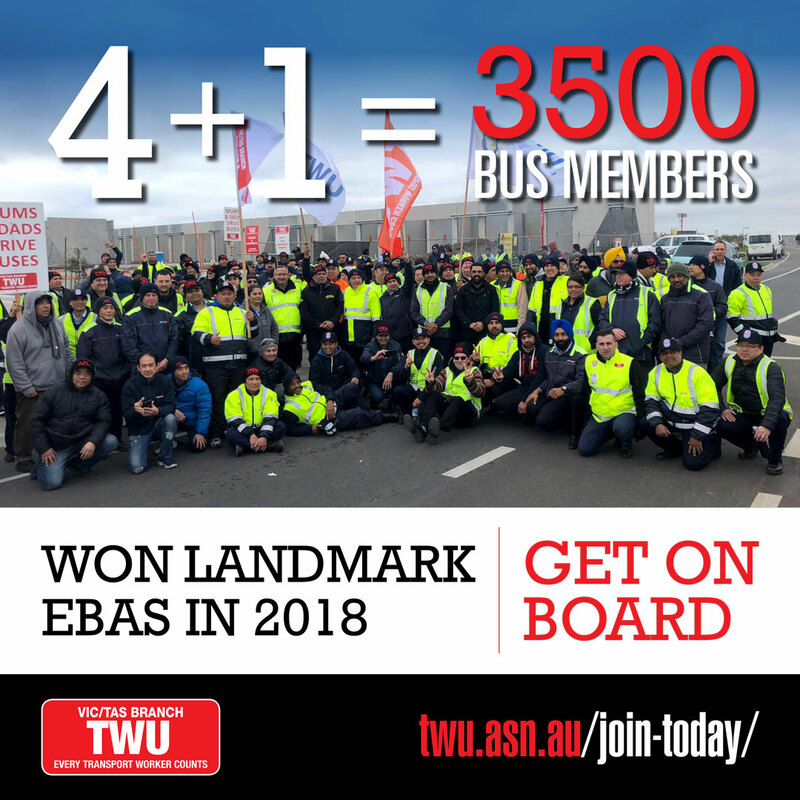 In 2018, the TWU (Vic/Tas) Branch delivered the best bus driver industry EBA in 28 years and, make no mistake, the 4+1 was a big win that secured the future for members. We also secured many noteworthy agreement inclusions and did not give up any existing conditions! So thank you and congratulations to all our TWU members, Delegates and Officials. But the fight isn’t over yet with some operators having just commenced negotiating the Victorian Bus Industry Agreement. Get on Board and stick together for a bigger and better 2019.